With a 10-year-old son there is no escape but to regularly watch superhero movies. You know Spiderman, superman, ironman, wolverine… What these superheroes have in common is some superhuman strength and speed (whether ‘natural’ or machine-enhanced). Typically, they demonstrate some moral exemplar (ish) behaviour as long as the bad guys pay the price. Mr. Mandela did not have any supernatural powers (nor machine enhanced). According to his own words he’s no saint either (unless your definition of a saint is “someone who falls and gets up again”). And he did not make his ‘bad guys’ pay nor did he live out of resentment after a quarter century of prison time… And this – to me – is the mark of a true leader, a true hero. According to research the single strongest predictor of effectiveness isn’t a clear, challenging vision, it isn’t well-defined roles and responsibilities, or appropriate rewards, recognition, resources, or strong leadership….No, it is the amount of help we provide to one another…. We don’t need no superheroes; we need true heroes. 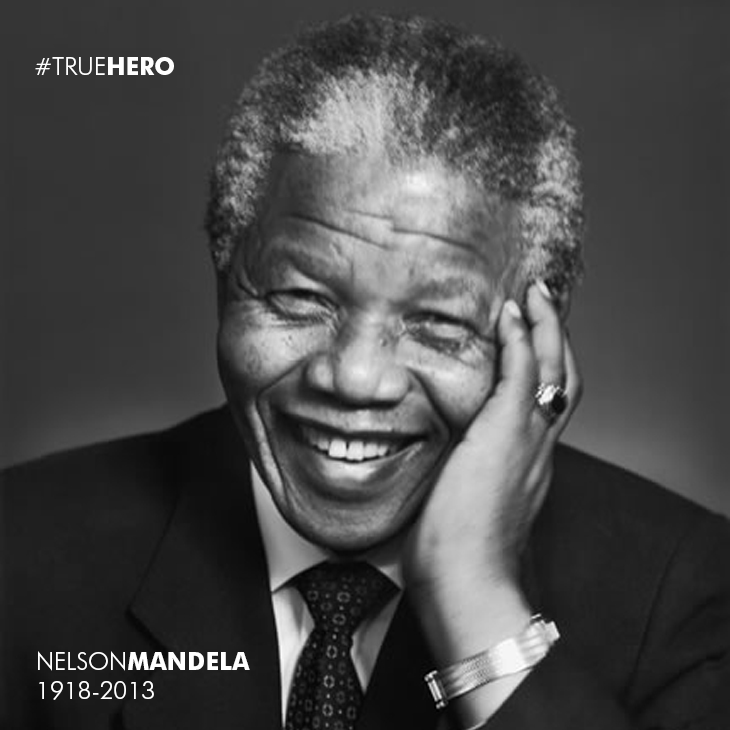 We will miss Nelson Mandela, but he will remain a great example for us to follow.